Tomatoes, beans, eggplant, peppers, collards, carrots, zucchini, yellow squash, butternut, scaloppini, ginger, basil, oregano, and more! Friends, we invite you to Coastal Bend Health Foods today and tomorrow to shop at a local store that would love to have your business. 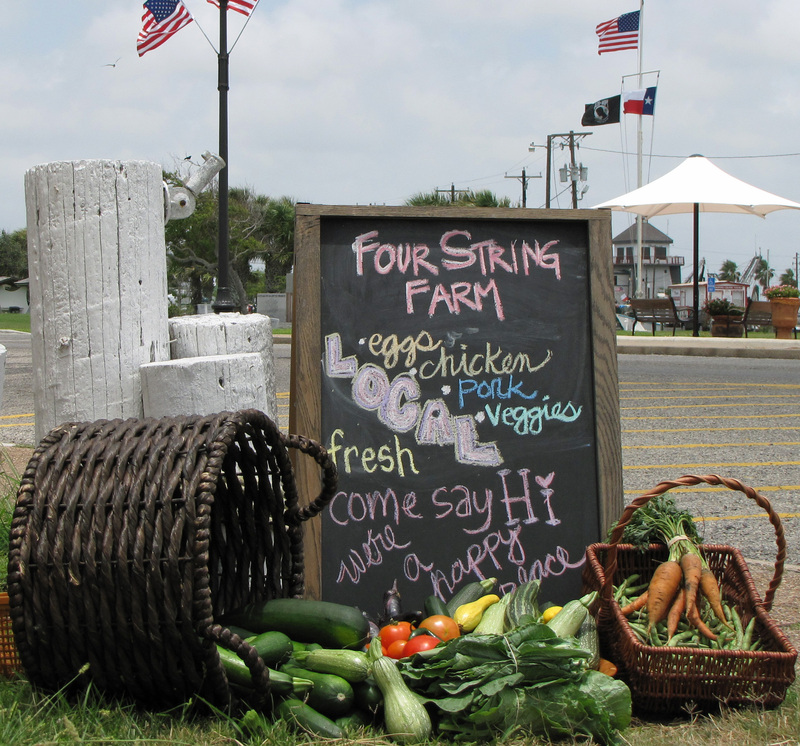 To prepare for your Memorial Day weekend celebration, we offer a wide variety of freshly picked produce. We offer fresh chickens today and tomorrow. Stop by Kimmi’s store and discover the difference our heritage farming methods bring to the flavor and health of your food. Tomatoes, large, roma, cherry, and roma grape. Eggplant, Japanese and black beauty. String beans: stringless, purple pole beans, French long, Kentucky Wonder, and Mayflower beans (these heritage beans were brought over on the Mayflower, and the seeds have been continued unchanged for 400 years, and you can enjoy them grown on our farm). Squash: acorn, butternut, gray-striped zucchini, yellow straight and crookneck squash, dark green zucchini, yellow scallopini, Mexican, Italian long, and spaghetti. 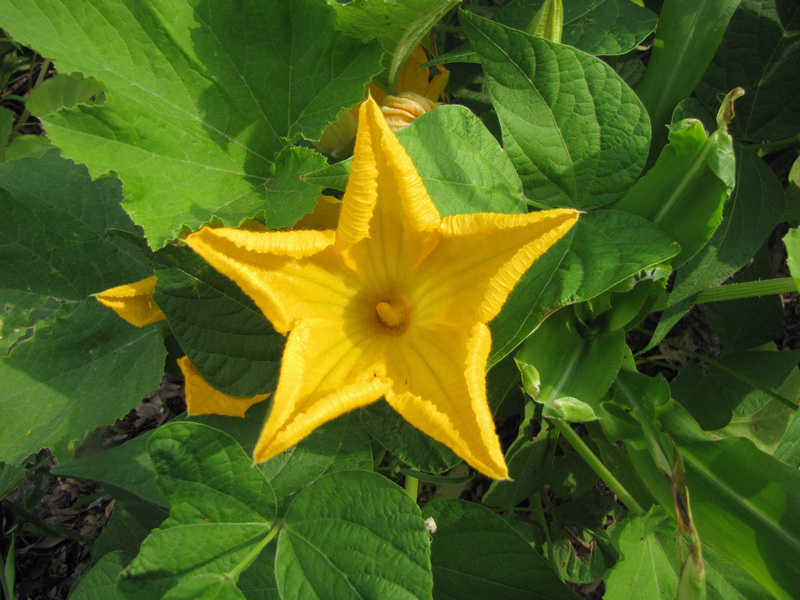 We also offer our beautiful edible squash blossoms upon request, perfect for stuffing with ricotta, cream cheese, or other fillings, and so delicious. Carrots, collard greens, and kohl rabi. Our companion planting methods allow us to continue to harvest all of these winter vegetables until July. Thai, serrano, and jalepeno peppers. Coming soon, sweet peppers. Ask Kimmi about our freshly picked ginger, as well as basil, oregano, and thyme. Enjoy fresh broilers in the 3, 4, and 5 pound range, as well as half-chickens, perfect sizes for roasting. 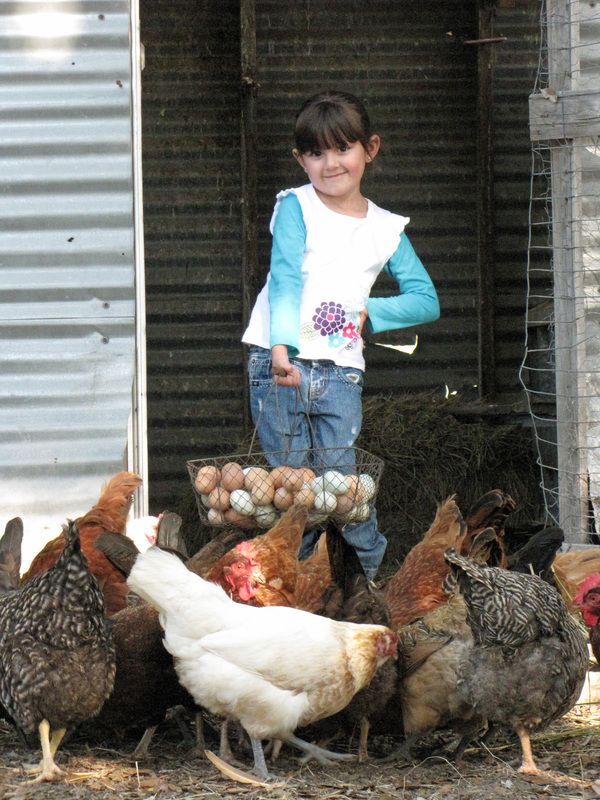 We offer blue, green, dark brown, and speckled eggs, lovingly gathered every day. Tres Hermanas: Harvesting beans from a corn stalk trellis.